What does Network Design mean? Network design refers to the planning of the implementation of a computer network infrastructure. Network design is generally performed by network designers, engineers, IT administrators and other related staff. It is done before the implementation of a network infrastructure. From wireless networking with VoIP, to multi-location WAN intranets with mobile-ready remote access, to cloud-based storage and retrieval systems, our team has the experience and capacity to deliver reliable, single vendor solutions. 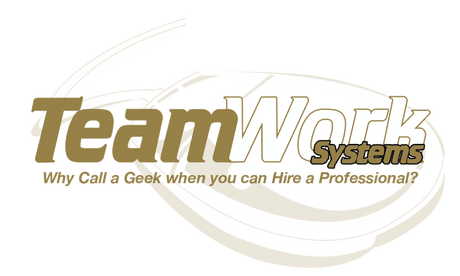 TeamWork Systems network design and implementation services begin with a comprehensive needs analysis. Our team evaluates your current business and assesses your future needs. We consider your budget parameters and design a network to meet the challenges of your business today and tomorrow. Once the network is designed, our team install the network and document a set of standards and procedures with suggested security policies to assure network integrity post installation. With TeamWork Systems team, you can rely on our people, processes, and technology to provide networking services that drive results for your business. Contact us to ask about our network design and implementation services today.